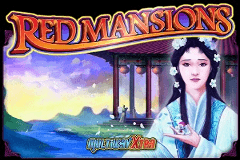 Like many pokies before it, and probably many more to come, Red Mansions is set in olden China and to create the theme, it has classic images of princes and princesses across its 5 reels.It comes from IGT, who have a number of similar games in their collection, and also comes with their popular Multiway Xtrapayout system, which only requires symbols to be on adjacent reels for a win, without needing them to be on set paylines. Unlike many other games from IGT though, it’s possible to forego the 1,024 potential winning combinations of Multiway Xtra and play a regular 40 lines, which will allow for lower stakes, although also a correspondingly lower number of wins. Add in a free spins game and wild substitutions and we have a pleasing all-round pokie that should prove to be a hit among the many people who can’t get enough of the Oriental theme. The reels are laid out in 4 rows, and are all contained within the reddish walls and under the pagoda-style roof of the mansion, behind which sits an equally red-hued garden with a couple of columns completing the picture.The symbols themselves pay out in different ways, depending on how much is staked. If 40 lines are activated, then 3, 4 or 5 of the same symbol type must land on adjacent reels running from left to right, while the Multiway Xtra options sees wins created in any positions on those reels, plus having more than one example of the winning symbol on a reel will multiply the prize. Classic playing card icons will create the lower value wins, but these will also tend to occur more frequently, so although they might not have anything to do with the Oriental theme, few players are going to grumble about this as they see win after win made by lining up the J, Q, K and A icons. Each of these has a subtle, but effective picture behind them, with soft images of flowers and clouds adding a calming effect to the game. A series of 3 princesses, each in traditional dress, will be able to pay out increasingly bigger prizes when they land across the reels, while the prince is next in value and a white-dressed princess is the most valuable of the standard symbols. Anytime the pagoda-style red mansion itself appears, it can act as a wildcard, substituting for any standard symbol to complete winning lines, or extending lines of 3 or more further across the reels to reward players with a bigger prize. It can’t make up a line on its own however, as it won’t be seen on the left side reel. It’s also not able to substitute for the bonus symbol, which is made up of a blue jewel above pink lettering. This will only appear on the middle reel, and if 2 land at once, players are awarded with 10 free spins, while 3 of them will trigger 15 spins and if the whole middle reel gets filled with the bonus symbol, the initial maximum of 20 spins will commence. It’s possible for a different bonus symbol to turn up during these free spins, so landing the jewel above blue letters will retrigger the round. Eagle-eyed players will notice different colours to the reels as the free spins play out, but there’s no actual difference to the value of them, so this is just an extra visual to let them know that the bonus games are still running. Red Mansions is, in many respects, a pretty ordinary pokie, that covers a topic seen across lots of other games and has symbols arranged in a conventional 5 x 4 format. But it has a couple of tricks hidden up its sleeve, with players encountering the first one as soon as they start to place their bets. 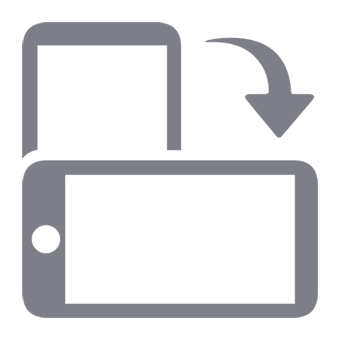 It’s unusual to offer 2 separate payline structures, although potentially quite useful for those with smaller bankrolls. Playing with 40 lines or being able to up the ante and activate 1,024 different ways to win is a useful feature and hopefully more games will carry it soon. If there’s any disappointments, they are related to the free spins game, which doesn’t have any richer symbols in play, but when there also no risk involved to bankrolls, it’s perhaps not something worth complaining about.